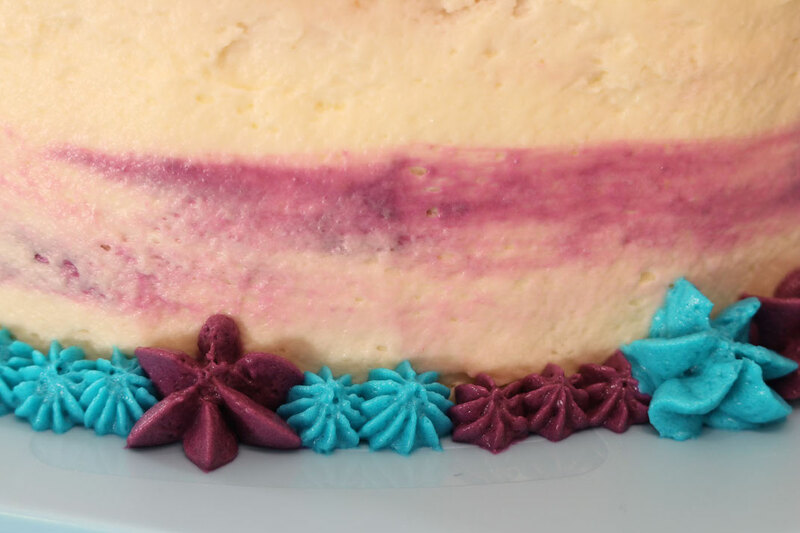 If you are in the mood for something colorful, this might be your new favorite cake ;-) It's super easy to make, you can hide below which kind of cake (e.g. 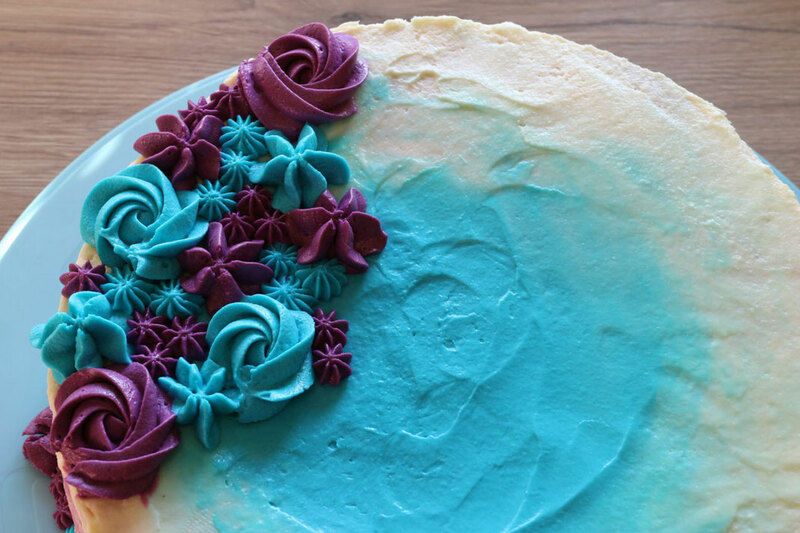 this sponge cake) and filling you like and the decoration can be done in which color you like. I have chosen in this case purple and blue. First you prepare some white frosting which has to be divided into 3 equal portions. 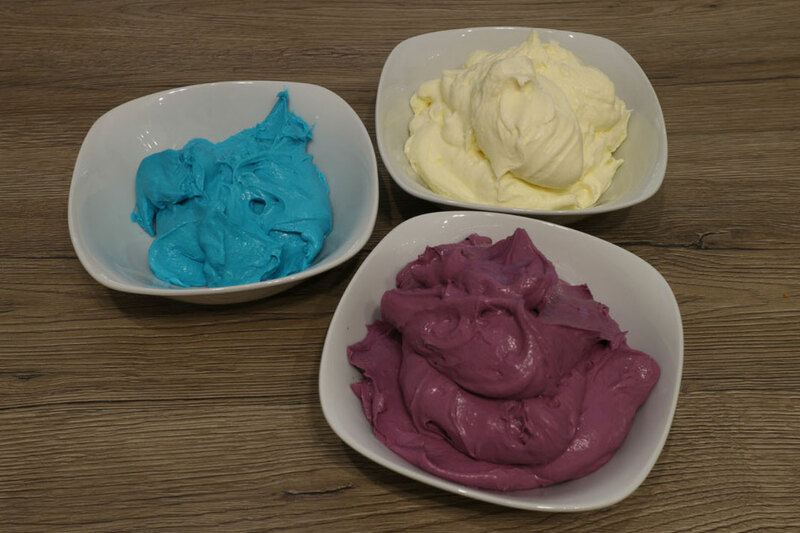 Two of them get the purple and blue color by dying them with food color. Now you start to frost the cake with the white frosting. You can use all of it and just put some highlights of the blue and purple into it. 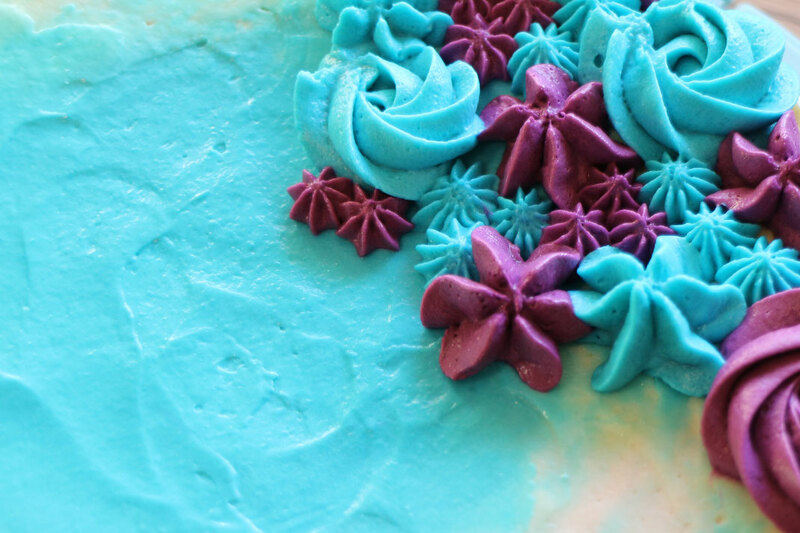 The rest of the colorful frosting you will use for the decoration. You need two different kind's of tips. A large and a small star tip for both colors. I would recommend to start with piping the rosette's and fill the area between which big and small stars. 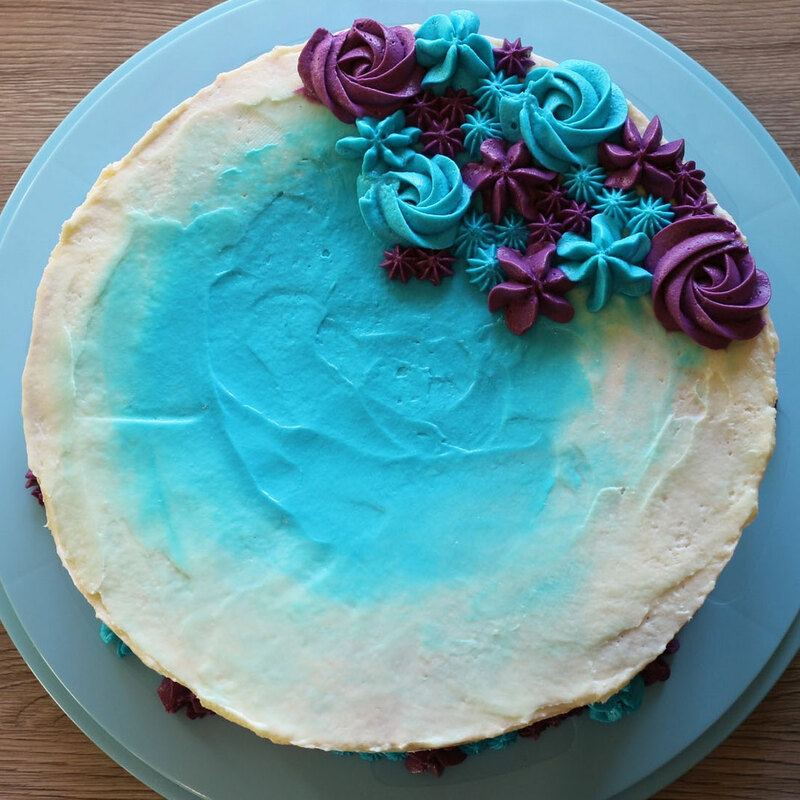 I also added a set of stars around the cake to cover the bottom area.